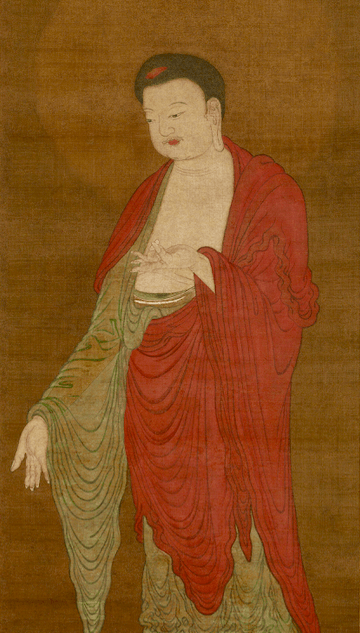 “Buddha Amitabha descending from his Pure Land.” Unidentified Artist , active 13th century, China. Courtesy of The Met. In the past two decades, there has been increasing awareness in America of Pure Land Buddhism as a major development of East Asian Mahayana Buddhism. 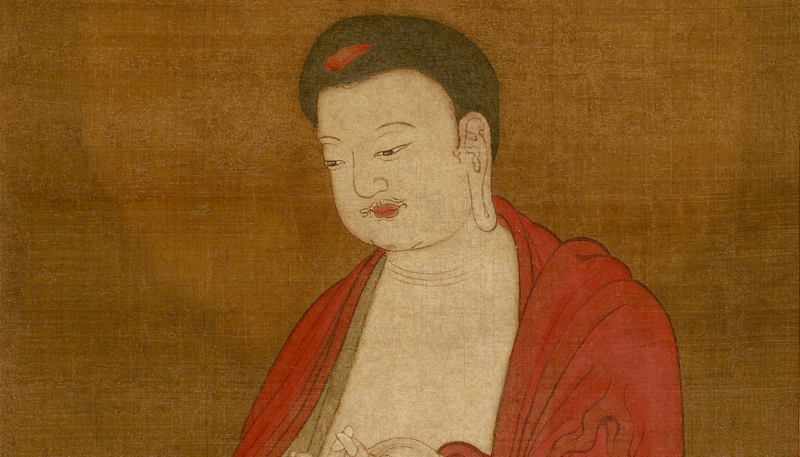 While Zen Buddhism is still better known in the West, Pure Land Buddhism and the practices involving the Buddha of Infinite Light, or Amida Buddha, have long been prevalent in East Asia, and also widespread in other areas, including Tibet and Vietnam. There is a rich pluralism of Japanese Pure Land thought and practice, from the seminal work of the founding master Honen to the modern work of scholar-practitioners of the Higashi Honganji branch of Shin Buddhism. According to Honen, this was the true teaching of the Mahayana, bringing liberation to women and men from all walks of life, and to all beings everywhere. It was as if the cosmic dharmakaya, the dharma as embodiment of emptiness/oneness, had released itself into the hearts and minds of all—from peasants to intellectuals, and wildflowers to towering pines—by coming down from the mountain monastery to mingle, laugh, and cry with all suffering beings everywhere and in every time. This was the true teaching of the Mahayana, bringing liberation to women and men from all walks of life, and to all beings everywhere. Honen is known not only for advocating the recitation of the Name throughout one’s life but also for looking to realization of the Pure Land of oneness in the next life. However, this does not mean that Pure Land practitioners are merely looking to escape the suffering of this world for a better life in the next. Rather, the goal is to live this karmically bound life meaningfully in the embrace of boundless compassion and to fully realize liberation in the hereafter. To better understand this it’s helpful to recall the trajectory of the life of Buddha Shakyamuni, who attained nirvana at thirty-five but lived with the residue of the karmic suffering of finite mind and body (nirvana-with-aremainder) until he attained parinirvana (nirvana-without-a-remainder) at eighty, when he passed from earthly existence. In Cultivating Spirituality (SUNY Press, 2011), an anthology edited by Mark L. Blum and Robert Rhodes, we find Pure Land thought unfolding in a very different social and historical context. While the rest of Asia was being colonized by Western imperial powers, Japan alone remained independent for more than three hundred years. But this came at a cost: Japan had closed its ports to the outside world and missed out on significant artistic, intellectual, and technological developments of the Western world. When the “gunboat diplomacy” of Commodore Matthew Perry and others forcibly but peacefully brought Western culture into Japan in the latter half of the nineteenth century, and Japanese intellectuals and students began to travel to the West, a veritable explosion of activity was set off, and the ancient capital of Kyoto became a center of cultural, artistic, religious, and philosophical debate as well as creative synthesis. The sudden influx of Western influences brought about enormous changes in many cultural arenas, including religion. The interaction between Japan and the West produced such figures as D.T. Suzuki, philosopher and popularizer of Zen in the West, and Shunryu Suzuki, the founder of San Francisco Zen Center who studied English in Japan and had dreams of bringing Zen to the West from quite early in his life. Zen practitioners and philosophers Kitaro Nishida and Keiji Nishitani were also known in the West as proponents of the “Kyoto School of Philosophy,” and through the work of scholars and translators such as James Heisig, Thomas Kasulis, and John Maraldo, many of their works have become available in English translation. Yet, as in the case of the medieval period, the contribution of Pure Land thinkers has gone largely unnoticed, even though in Japan their work has been just as significant as the work of their Zen counterparts. Blum and Rhodes’ anthology focuses on the work of four scholar-practitioners in the Higashi Honganji branch of Shin Buddhism, which traces its origins to the founder Gutoku Shinran (1173– 1262), who himself began as a disciple of Honen but went on to develop his own distinctive interpretation of Pure Land thought and practice. The difference between Honen and Shinran may be regarded as a matter of emphasis. 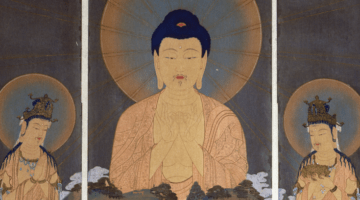 Whereas Honen emphasized the need to practice the recitation of the Name of Amida Buddha continuously, Shinran emphasized the need to do so with sincere engagement of one’s whole being— body, mind, and heart—that is, quality over quantity. Whereas Honen uplifted his followers with the promise of realizing the Pure Land of oneness in the hereafter, Shinran focused on the realization of shinjin, true entrusting to the Vow of Boundless Compassion in the present moment, here and now. Ultimately, however, like any discipline requiring sincere, single-minded practice, one could say that the realization of limitless compassion required both quality and quantity; present as well as future aspiration. Nevertheless, these differences in emphasis would have significant ramifications for later developments. Like any discipline requiring sincere, single-minded practice, one could say that the realization of limitless compassion required both quality and quantity; present as well as future aspiration. Four scholar-practitioners in the Higashi Honganji branch of Shin Buddhism are closely associated with Otani University, the main divinity school and sectarian university of Higashi Honganji, located in Kyoto. All four studied Western philosophy and religion, undertook difficult paths to religious realization, and were variously criticized, ostracized, and condemned for “heretical” views and practices. Yet, they all eventually achieved renown (in Kiyozawa’s case much of it posthumously) and came to be regarded as great religious leaders as well as thinkers. The tathagata [buddha] graciously takes responsibility for all my actions. Simply by believing in this tathagata I am able to live in continual peace. The power of the tathagata is infinite. 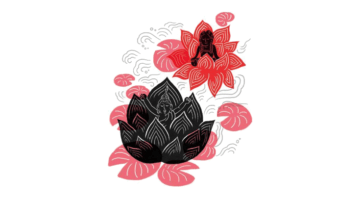 The power of the tathagata is unsurpassed. The power of the tathagata is ubiquitous. The power of the tathagata pervades every direction in its unrestricted, undefiled activity. Entrusting myself to this miraculous power of the tathagata, I gain a great calm and a great peace. Entrusting my very life to the tathagata, I feel no anxiety and no unease. For Kiyozawa, this did not mean he could do whatever he wanted without any responsibility. To the contrary, it was irresponsible to think that the ego could fulfill itself. The true subject grounded in the absolute was disclosed when one realized the helplessness of the ego in the face of death, not just physically, but also in terms of its socially and ethically constructed facade. Only then could one live responsibly, that is, true to the ethical foundation of the self in the flow of the oneness of the other power of the tathagata of unhindered light, Amida Buddha. The basis of ethical life thus shifts from social expectations to the realization of absolute other power, or the oneness of all existence. The other thrust to his experimentation was to reformulate Shin Buddhist thought in the wake of his study of Asian and Western philosophy and religion, leading to the publication of his Skeleton of a Philosophy of Religion (Shukyo tetsugaku gaikotsu) in 1892. He also became the head of Shinshu Daigaku, the sectarian college of the Higashi Honganji, which later became Otani University. Kiyozawa forbade students to study for careeroriented success, and encouraged them only in the pursuit of spiritual or religious self-understanding. This experiment didn’t last long because it didn’t attract enough students to sustain the institution. However, he developed a close circle of followers who creatively rethought Shin Buddhism within the larger scope of Buddhism from India to Japan as well as global philosophy and religion. These included Ryojin Soga, Daiei Kaneko, and Yasuda Rijin, who are all featured in the anthology. 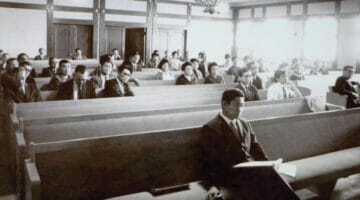 Soga and Kaneko became leading scholars at Otani University, while Yasuda, who was especially inspired by the teachings of Kaneko, became a revered teacher who preferred to work closely with small groups of students in person and later in his own private academy, even though there were several requests for him to take a professorial appointment. For all four of these figures, however, the path to recognition for their deep spirituality was not a smooth one. They were variously criticized and for years even expelled from their positions for “heretically” departing from the narrow confines of sectarian dogma and for veering off into the larger world of Buddhist and global religious thought. They eventually not only returned to prominence in the religious center of Kyoto, but Soga became president of Otani University. For all these figures, the path to recognition for their deep spirituality was not a smooth one. They were variously criticized […] for veering off into the larger world of Buddhist and global religious thought. Kiyozawa has been criticized for failing to take a stand against Japanese militarism, but as Blum points out, Kiyozawa’s refusal to engage issues of wartime rhetoric must be seen in light of his intense inward focus. Although from the perspective of such movements as Engaged Buddhism, the unwillingness to address social, economic, environmental, and political ills might appear to be a failure, Kiyozawa’s lack of direct engagement could be interpreted in light of Buddhism’s origins as a renunciant religion in which the goal is to live in this world but not be of it, to realize nirvanic release in the midst of samsara. His insistence that students at Shinshu Daigaku study solely for the purpose of spiritual liberation resonates with the ideals of the early Indian sangha and later institutions such as Nalanda University, where monastic practice and study were the focus. Kaneko emphasized that while one might receive the understanding of the Buddhist teachings with one’s mind, one receives the true dharma in one’s hands, palms together, entrusting this limited, foolish self into the limitless ocean of light of boundless compassion. This seems to reveal a thread running through the development of Japanese Pure Land, from the twelfth to the twentieth centuries, from Honen, who abandoned sectarian authority and the appearance of a pure monastic existence to become one with the people, to Kiyozawa and others who rejected the dominant institutions of their day to plumb the depths of their inward spirituality. Buddhism, whether in Asia or the West, reveals itself to be a rich tapestry of diverse strands in which pioneers risked their standing and even their very lives to establish new pathways appropriate for their times and places. This article is adapted from a feature review that was published in the Spring 2012 issue of Buddhadharma.